Each class has art once a week for 50 minutes. During this time, students learn about different artists, as well as skills and techniques that can be used with a variety of media. Students are exposed to crayons, markers, cutting and gluing, oil pastels, chalk pastels, watercolor paint, clay, and much more. Through art instruction, students gain problem-solving skills. They have the chance to think independently and express their creative side. They also build responsibility by learning how to care for supplies and work with others. Students get the chance to express different ideas and learn from the ideas of others through art. Art helps us to communicate by sharing thoughts, ideas, and visions that may not be able to be articulated any other way. Through making art, students are faced with choices and decisions to make. They learn to solve problems independently, which is a skill that transfers to many other areas. Art is connected to science, math, literacy, music, and history. Students aren’t just learning and growing in art, they learn, grow, and become successful through art. 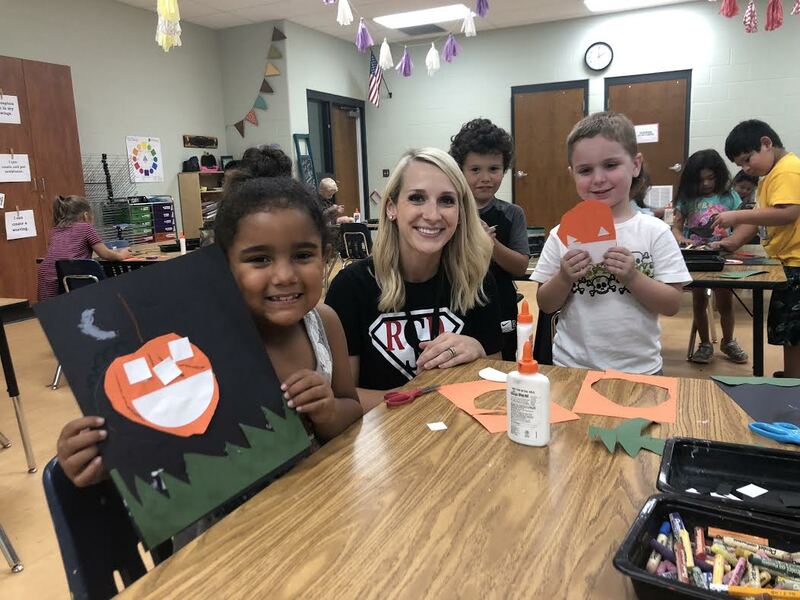 Art on Display: Three times a year, student art is selected for display at the Center for the Arts at the Russellville High School. Art Contests: Student art is sent to three different art contests throughout the year. 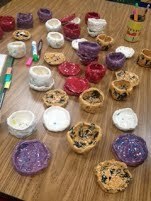 Pottery: Each year, our students create ceramic pinch pot art. The pinch pots are glazed in the kiln in our art room. Learning a new technique, coiling.